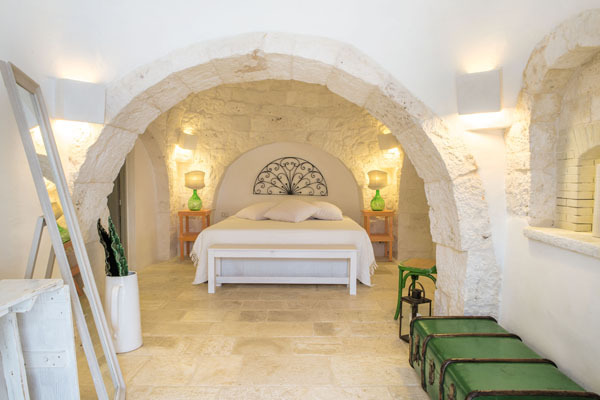 Fully refurbished Villa Gelsomino is a traditional villa in Puglia with a private heated swimming pool (5 x 11 m) set in the lavish countryside close to Alberobello and Martina Franca. 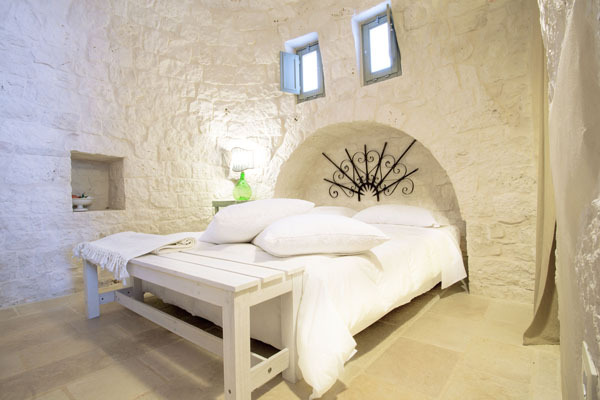 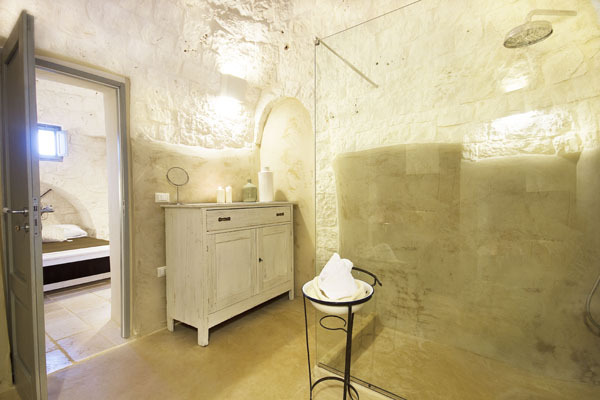 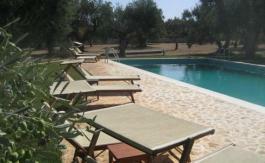 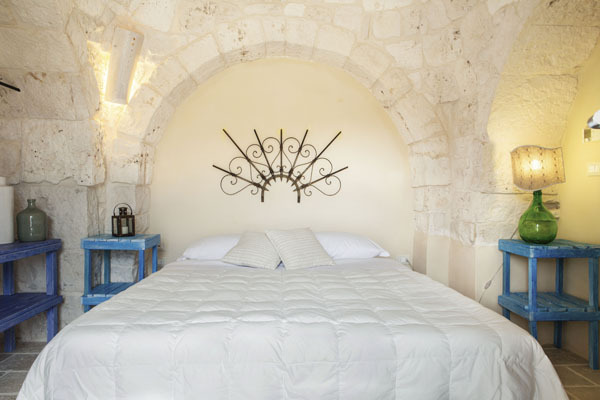 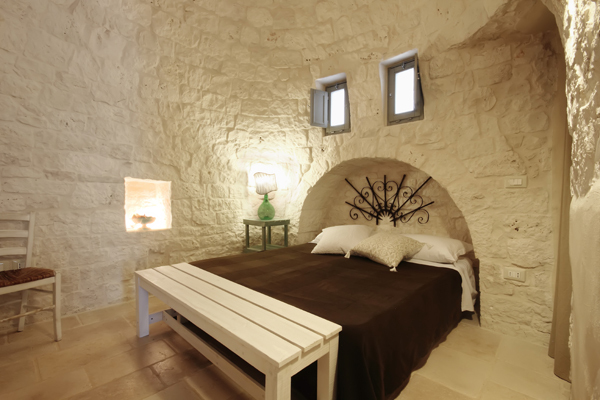 Rent villa Puglia for a wonderful holiday in southern Italy. 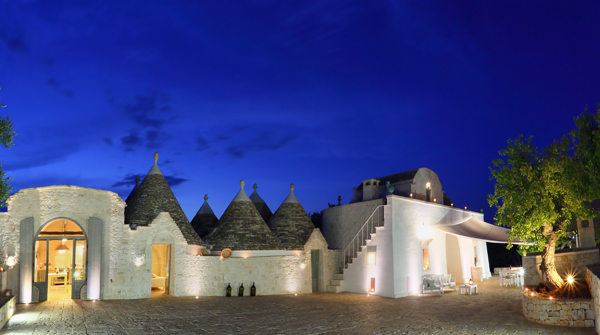 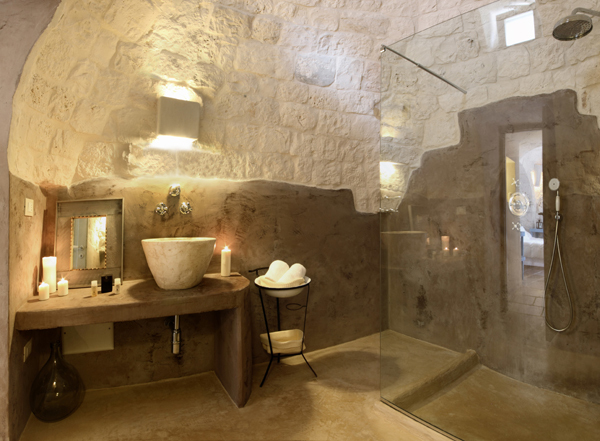 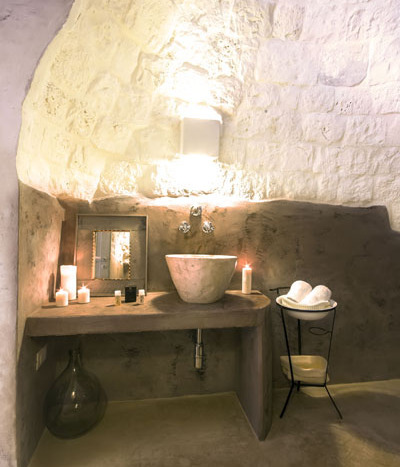 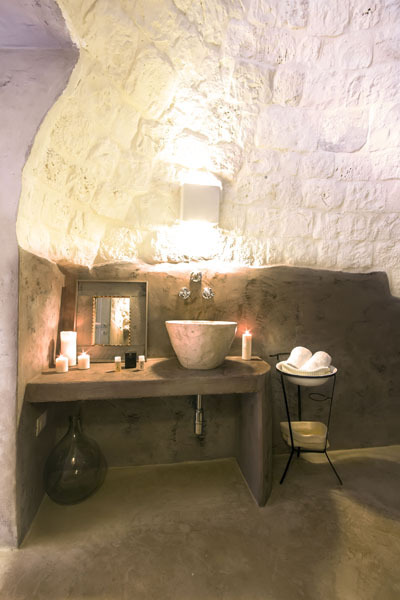 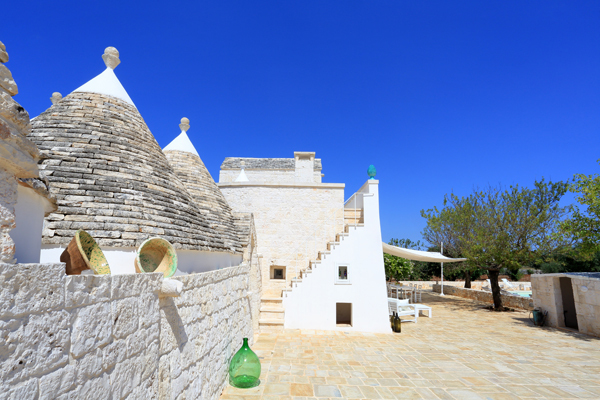 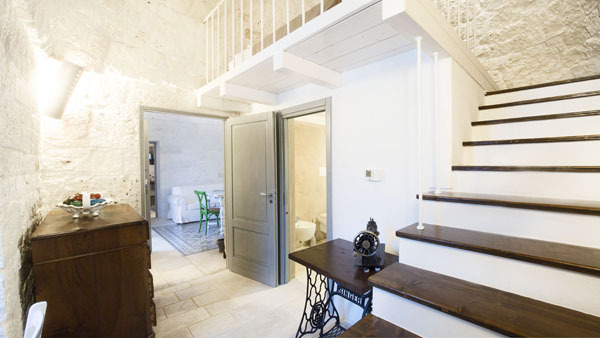 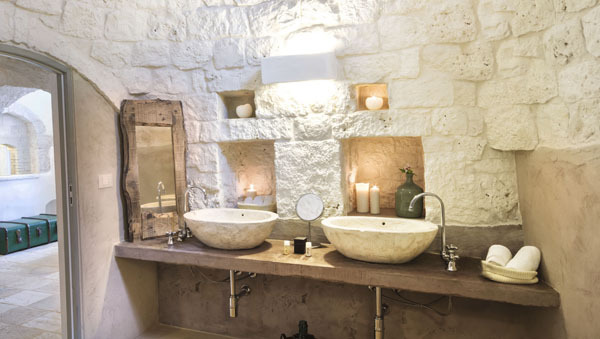 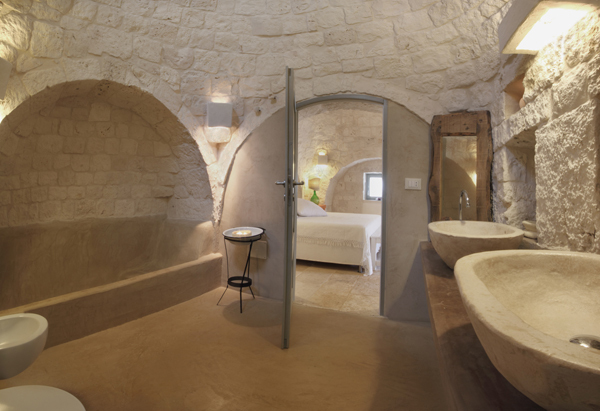 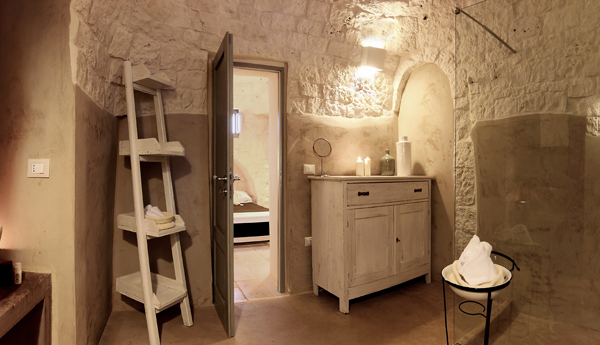 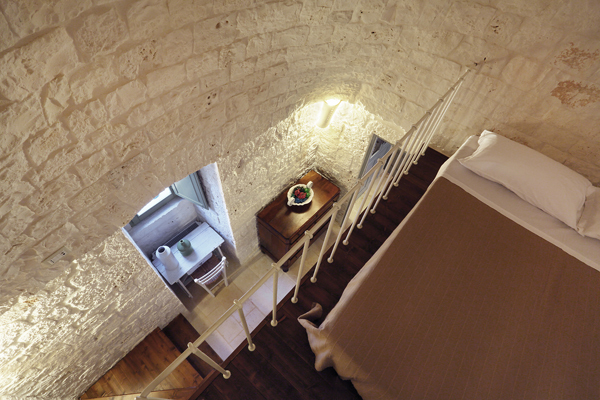 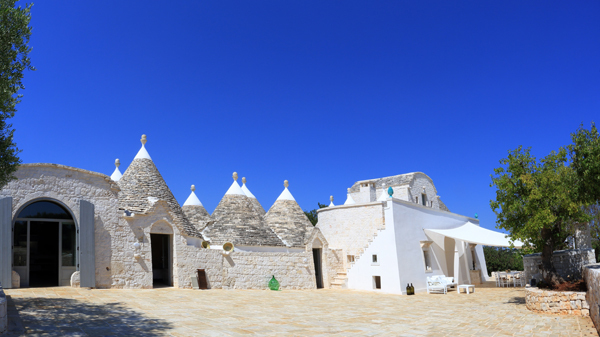 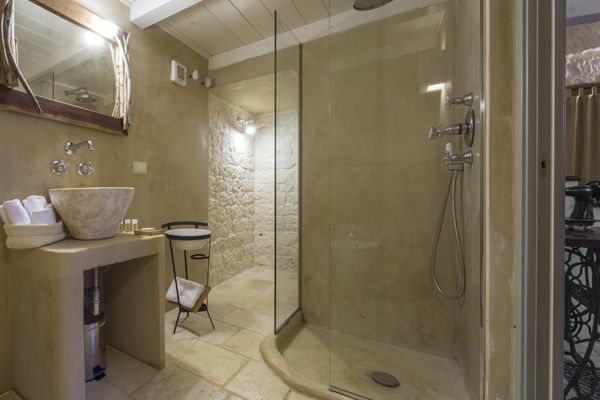 The fully air-conditioned farmhouse features typical elements of local architecture, including 11 trulli cones and an old stable transformed into the state of the art kitchen (featuring a large dining table seating 8 persons). 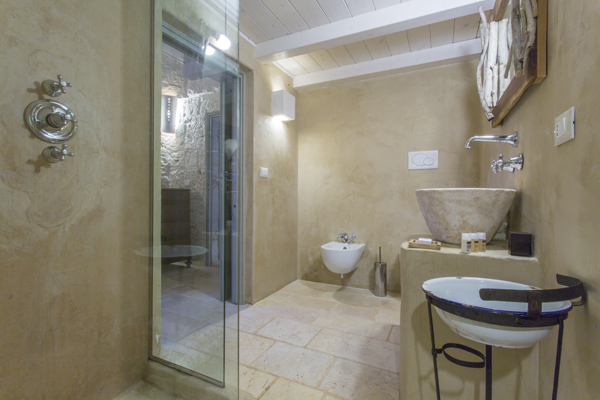 The property boasts modern furniture and facilities carefully selected by the owners themselves, blending both contemporary and rustic styles. 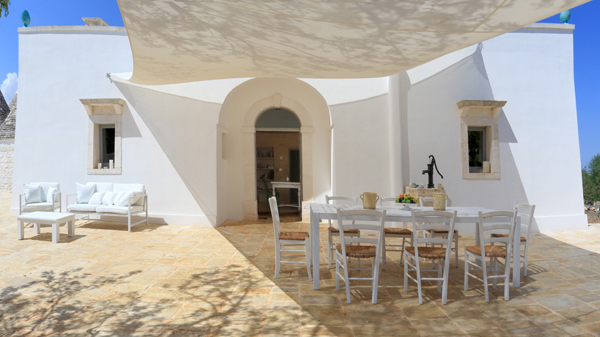 This stunning villa rental in Puglia features two fully equipped kitchens, one of which is suitable for cooking classes. 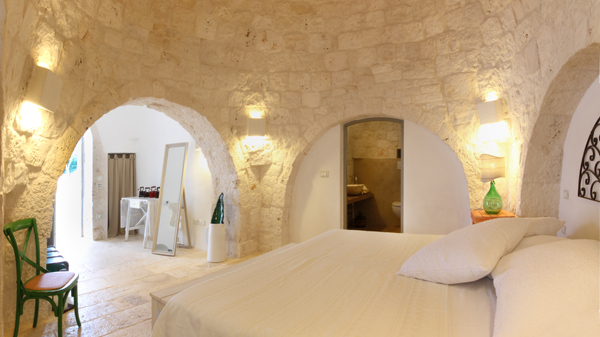 There are four double bedrooms (one of them is a master suite) with private bathrooms and one single room. 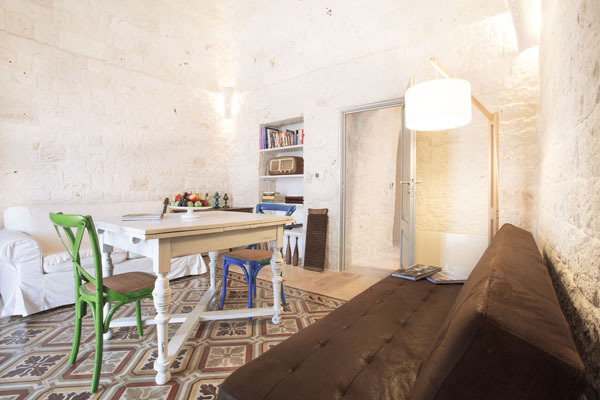 Each double bedroom features and oversize double bed and is slightly different with its own sense of design, layout and personal touches. 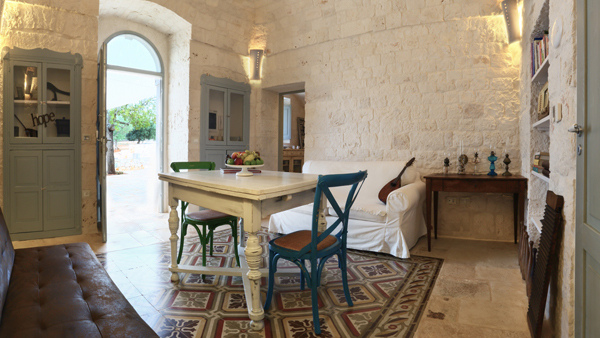 There is also a spacious sunlit living area and a loft room with another double sofa bed and en suite bathroom. 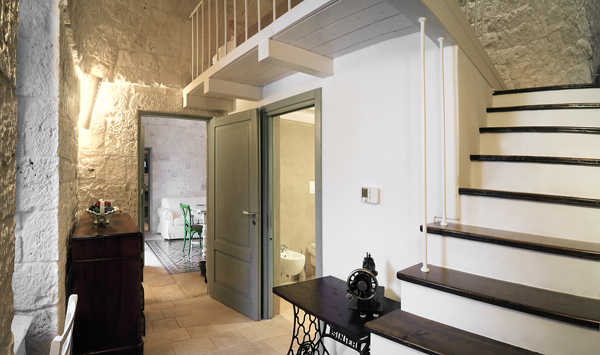 Two of the five bedrooms open out onto the patio rather than inside the house. 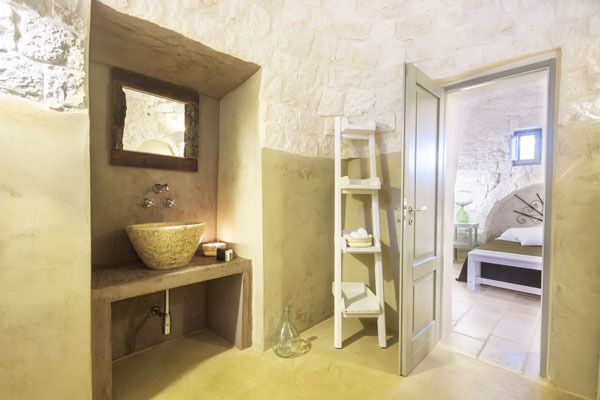 In addition to the private heated swimming pool the surrounding area includes a vegetable garden and several fruit and nut trees that are there for the picking and eating. 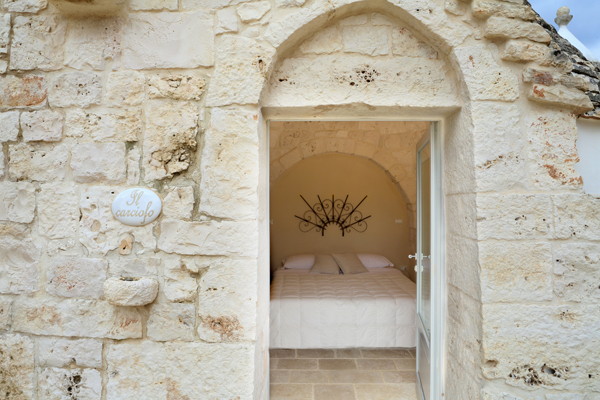 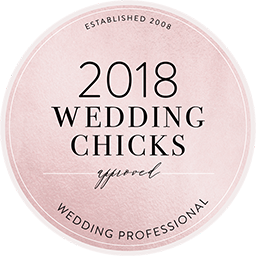 Other amenities include: free WiFi access in every room, air conditioning and dehumidifier in every room, parking, washing machine, ipod dock, use of iPad on site. 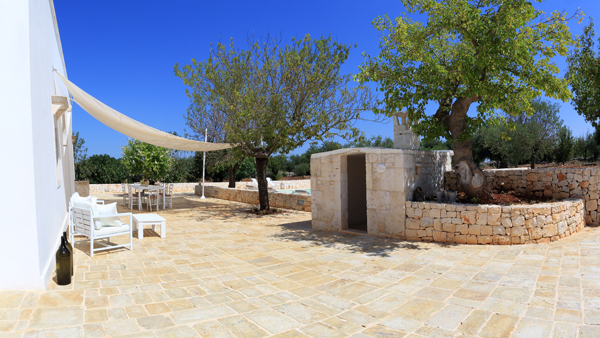 The garden area has been equipped with brand-new garden furniture. 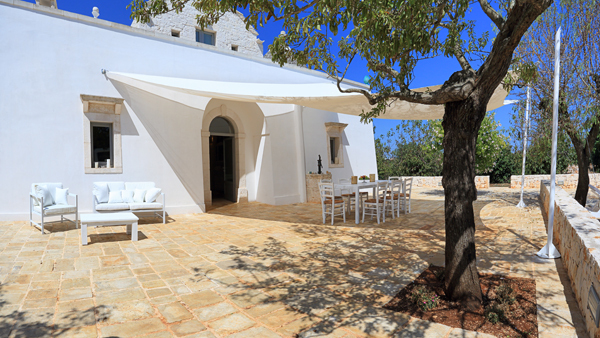 In front of the villa there is a shady area created by means of an elegant cloth. 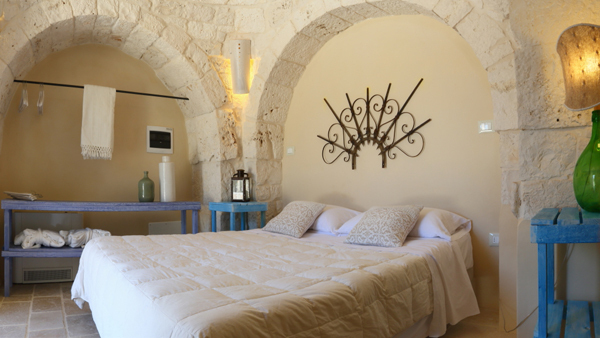 The weekly rate includes: the weekly gardening service, water and electricity consumption, 1 Puglia TCI map, 45 minute area briefing, all linens and towels, a welcome basket, pool cleaning and maintenance, twice a week cleaning.